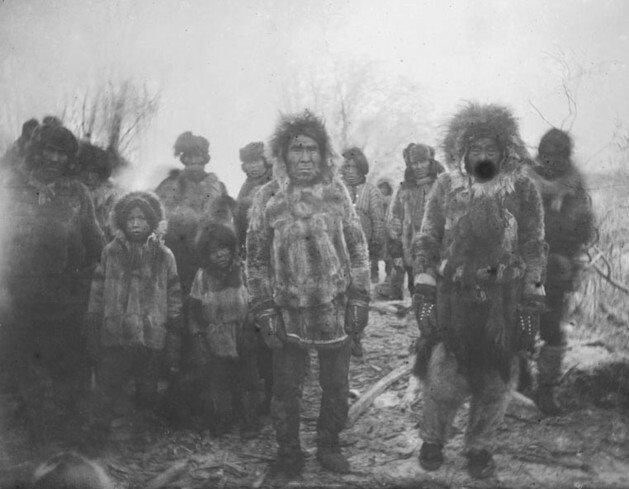 A group wearing mittens, short parkas, and fur pants. Anvik, 1879. Photo by Edward W. Nelson; courtesy of the National Anthropological Archives, Smithsonian Institution, NAA01435300.